A petition to get Google to take down a “pray the gay away” app has reached more than 40,000 signatures. The mounting pressure on Google to remove the app comes after Apple, Amazon and Microsoft took down the technology from their platforms. The petition was launched on Change.org by LGBT+ organisation Truth Wins Out, which campaigns against anti-gay religious extremism. “When Truth Wins Out previously brought the hate app to the attention of Apple, Microsoft and Amazon, the companies acted with responsibility and swiftly removed it from their online stores,” it reads. 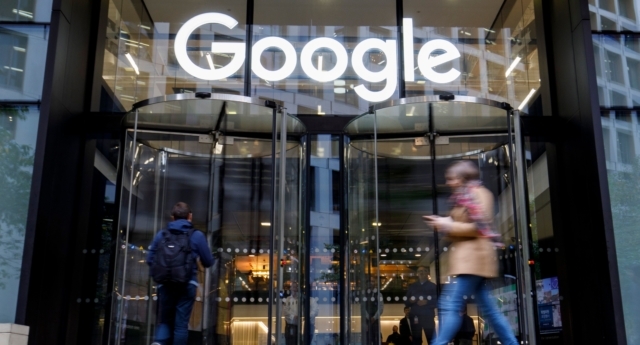 “The surprising silence from Google is in stark contrast with the corporation’s stated policies of inclusion, respect and diversity. The petition had received 41,251 signatures at the time of publication. PinkNews has contacted Google for comment. The religious app is owned by Arlington-based religious group Living Hope Ministries. The petition adds: “‘Ex-gay’ programs are a sham. It concludes: “Please sign our petition to demand that Google stop procrastinating and immediately remove Living Hope’s hateful app that deliberately singles out LGBT people for bigotry and ridicule.